The US Department of Arts & Culture is the newest national arts organization in the country. But despite its provocative name, it doesn’t take a penny from the government. In fact, it’s less of an organization and more of an idea. Founder Adam Horowitz calls it “an act of collective imagination.” Advocates like Americans for the Arts and Quincy Jones have been fighting for years for a cabinet-level arts and culture position in the government. Horowitz decided to start from the people instead. 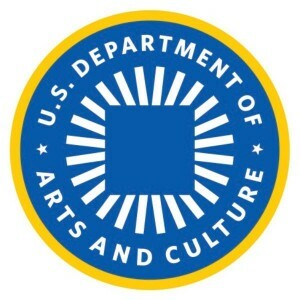 The USDAC has put out a call for twelve “founding cultural agents.” Those whose applications are accepted will receive six weeks of training, and be charged with hosting local “imaginings” in their communities, at which artists, organizers, and other community members can envision a future for the country in which “art’s transformative power has been fully integrated into all aspects of public life.” If you’re not interested in being a cultural agent, but still want to get involved, you can enlist as a citizen artist. With its rights-based framework and talk of community development, the USDAC is a new player in the field of community cultural development. In fact, Horowitz has brought community cultural development guru Arlene Goldbard on board as “Chief Policy Wonk.” The effort also received some unexpected press when it was attacked by Glen Beck, complete with comparisons to Nazi Germany! The USDAC offers an overarching framework that could help to link and support diverse, often isolated cultural efforts around the country. But it will only work if we all get involved. Check out the website. Does it resonate with you? Might this blend well with the work you are already doing? Does it spark any new ideas? Where should the USDAC go next? 100 Youth from the Boston-Area Youth Organizing Project, Alliance for Education Justice, and the National Campaign for Quality Education protest a talk by Ex-Chancellor of DC Public Schools Michelle Rhee. 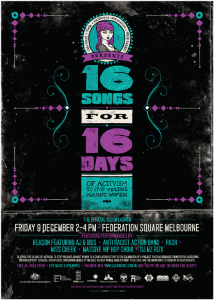 Forget the partridge and the pear tree, this past weekend saw the end of a quite different countdown: 16 Days of Activism Against Gender Violence. This campaign, begun in 1992 by participants of the first Women’s Global Leadership Institute, begins on November 25th, International Day Against Violence Against Women, and ends on International Human Rights Day, December 10th. Activists across the globe join together in a diverse and creative show of solidarity. 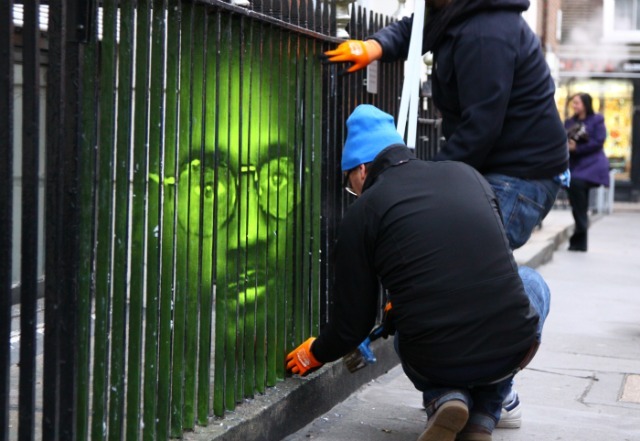 Here’s a little peek at how artists took part in this years festivities.